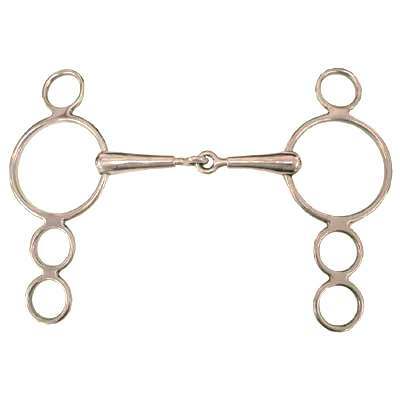 This Gag Snaffle Bit is made from the finest materials available. Extraordinary feel, yet are easy to work with and provide maximum comfort for your horse. The Adjusta Bit Continental Gag Snaffle by Coronet allows you to adjust this great bit from 4 1/2'' to 5 1/2'' by twisting the horse bit in opposite directions. This item comes with 4 1/2'' Shanks and is great for jumping. This is one of the best snaffle bits available. A wonderful product for you and your horse. Only the best Coronet Horse Bits are sold at HorseTackNow.